Can’t Stop Wont Stop!! 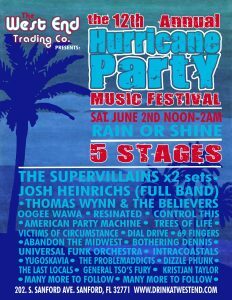 Slide on out to The West End for our 1st official Hurricane Party show! !